I would say, of all the shoes I've ever owned, flip flops are the ones I spent the least on and treated with the least respect. If they lasted or weren't lost by the end of summer, they'd likely be thrown out because of how badly they wore down over the two exact months of Canadian summer. When Havaianas came out I rushed to get multi-coloured pairs, they were more comfortable and longer lasting than your typical $2 buy, and they'd last a year or two before the centre bit popped and they were no longer wearable (or repairable). My final pair of Havianas broke in Costa Rica last year while I was mid-way through my #GoneGreen2016 challenge. Due to my new-found ethical and ecological standards, I couldn't convince myself to buy the random cheap plastic flip flops from the local surf shop, so I enjoyed the rest of our beach holiday in my Vejas. When I returned to Europe, I started researching potential eco + ethical brands and couldn't find anything that aligned with my rigid yet reasonable requirements while also mimicking the Havaianas aesthetic I'd come accustomed to (first world problems, indeed). So as summer came to an end I cancelled my quest in hopes spring would bring me a sustainable solution. Sure enough, along came OLLI, quality made, (incredibly) comfortable and produced with the planet and her inhabitants in mind. Complete with an educational and inspiring circular story to share. Most flip flops are made from synthetic rubber which is derived from petroleum (fossil fuel), which is a non-renewable, non-biodegradable and highly pollutive resource. Due to low cost associated with the production of synthetic rubber, natural rubber producers are driven into poverty or have to turn to practices which cause the deforestation of their trees. 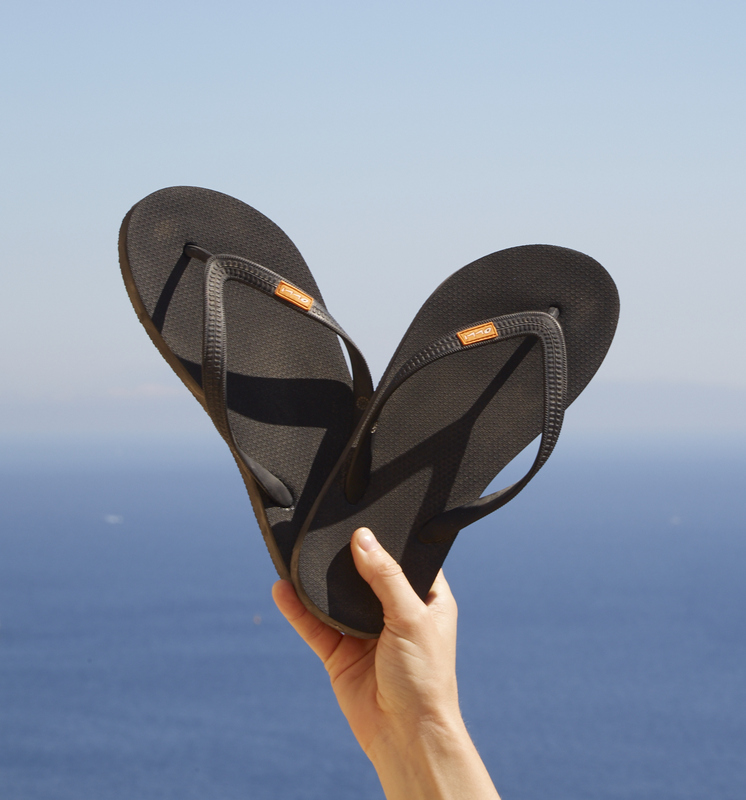 Conventional flip flops are also made with Rubber accelerators as well, which are chemicals used to speed up the manufacturing process of rubber and can cause 'flip-flop rash' due to the skin's reaction to the chemicals. Synthetic rubber involves an incredible amount of dangerous chemicals to produce which cause a host of illnesses to workers producing the product. It is common in conventional flip-flop production that workers rights are violated with the use of child labour, inadequate safety standards, inappropriate use of toxic chemicals, and unfair pay. OLLI uses natural rubber which means it is free of chemicals. It comes from the rubber tree (Hevea brasiliensis), a tree which sequesters more carbon than most other tree crops (meaning it combats climate change by just being alive). Because it comes from the earth, it can also return to the earth, meaning at the end of its lifecycle it can biodegrade. Natural rubber is also continually recyclable, so once it is created, it can be reused. OLLI's natural rubber comes from FSC certified plantations protected by the Fair Rubber Association which combines high ecological standards with fair working conditions. Workers on Fair Rubber Association plantations are paid a fair wage as well as a fair trade premium which is used for projects which improve living and working conditions. They also receive medical benefits, are offered a comfortable retirement, and work in safe and healthy conditions. 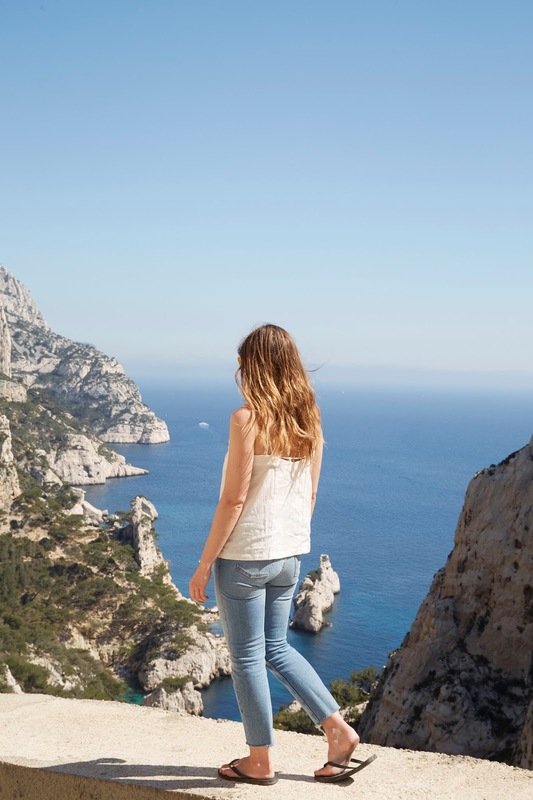 OLLI sent both Shane and I a pair of their flip flops to try on a recent trip to Marseille and we documented our first day with them by taking them to the most flip flop unfriendly place, The Calanques. You can watch the full vlog diary here to see what we thought of them and how our day went down. SPONSORED POST: Please note, Shane and I were sent the flip flops as gifts from Olli and I charged a fee for both the blog and vlog to cover the time we spent researching, writing, filming, photographing, editing and uploading this post and the video. Support like this keeps food in our bellies and a roof over our heads. I don't receive any editorial direction from brands, any opinions, styles, and storylines shared are mine (and Shane's). Wowo .This is amazing article. I travel a lot and in my traveling especially in summer most of the time i use flipflops and even in my house.I am a fan of them.But its hard to find right eco-friendly flipflops.